From the author of "The Handbook for Lightning Strike Survivors," which "Library Journal" called, "ripe for Oprah or fans of Elizabeth Berg or Anne Tyler," comes a magical novel about a family of women separated by oceans, generations, and war, but connected by something much greater--the gift of wings. 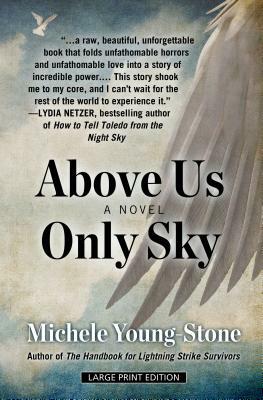 "Above Us Only Sky" spans the 1863 January Uprising against Russian Tsarist rule in Eastern Europe to the fall of the Berlin Wall, and Lithuania gaining its independence in 1991. It is a story of mutual understanding between the old and young; it is a love story; a story of survival, and most importantly a story about where we belong in the world. This "is a raw, beautiful, unforgettable book" (Lydia Netzer, bestselling author of "Shine, Shine, Shine").